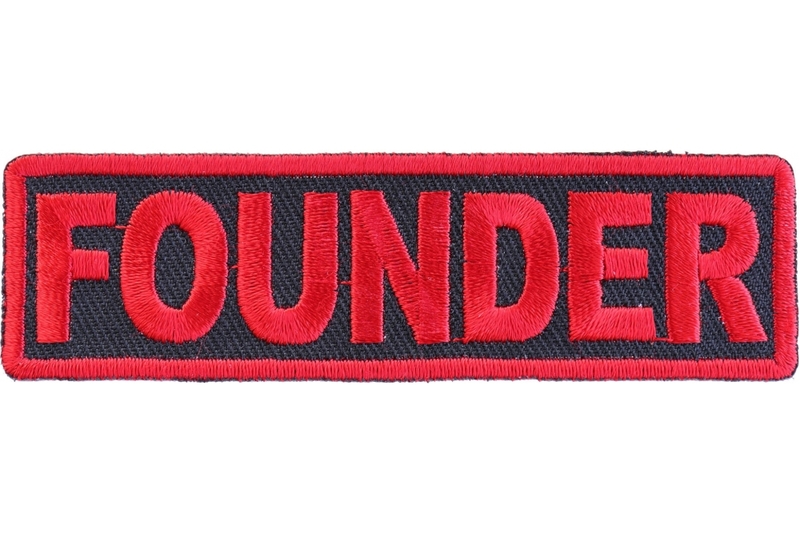 Founder patch is embroidered in red over black measuring 3.5x1 inches featuring red borders. A motorcycle riding club patch for clubs using a red color theme. Founder patch is the perfect size patch to go on your leather vest. We are your "to go guy" when you are shopping for embroidered patches. Want a custom patch, just let us know. Buy your patches here at The Cheap Place.